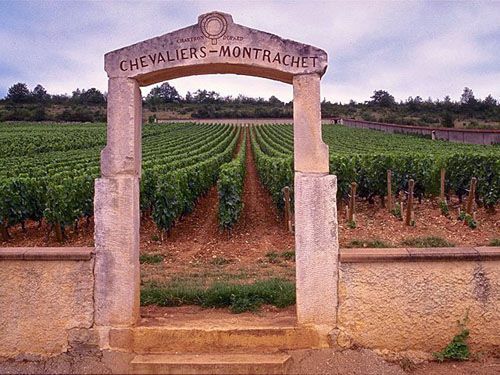 Montrachet produces mainly white wines from the Chardonnay grape variety. Montrachet has a golden robe with emerald glints that turn yellow with age. It is distinguished by its dried fruit, spice and honey flavours. It is recommended as an accompaniment for fine and sophisticated dishes, such as foie gras or caviar, and white fish. Also find out about Chardonnay, Merlot, Pinot noir and Meursault.